Home / FILIPINO FILMS / Support Out-of-the-box Indie Comedy “Echorsis” by watching it on April 13, its opening day! Support Out-of-the-box Indie Comedy “Echorsis” by watching it on April 13, its opening day! Just like any independently produced Filipino film, “Echorsis: Sabunutan Between Good And Evil” by critically acclaimed director Lemuel Lorca is at risk of being pulled out of movie houses if it doesn’t perform well on its first day. 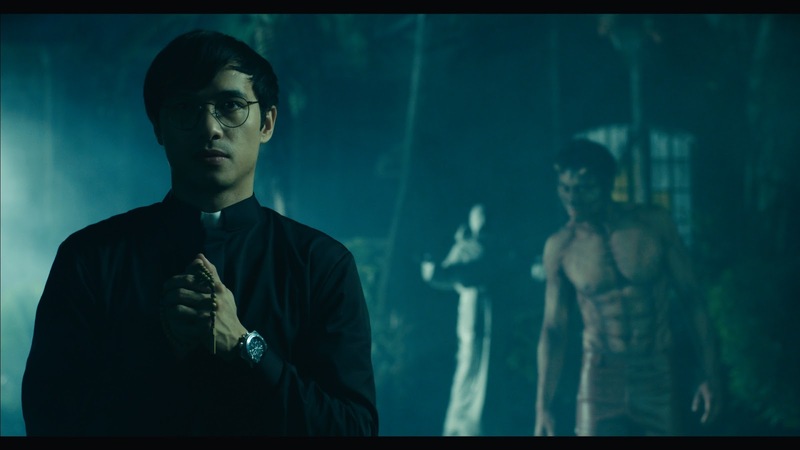 Thus, the cast and crew of the much anticipated horror-comedy film appeal to Filipino moviegoers to watch “Echorsis” on April 13, its opening day. “Sana sumugod sa sinehan ang milyon-milyong nag-aabang sa ‘Echorsis’ sa opening day pa lang para manatili ito sa line up ng mga pelikula,” says Alex Medina, who plays the lead role of a gay-swindling gigolo in the movie. In “Echorsis: Sabunutan Between Good and Evil,” Medina portrays the role of Carlo, a sweet-tongued and charismatic gigolo, who was possessed by a gay spirit after the death of his lover Kristoff (John Lapus). The film, which likewise topbills Callalily vocalist Kean Cipriano as Father Nick, was written by Jerry Gracio and produced by Chris Cahilig of Insight 360. It is rated R13 by the Movie and Television Review and Classification Board (MTRCB). Lapus is optimistic that Filipino audiences—particularly the lesbian, gays, bisexual, and transgender (LGBT) community—will rally behind “Echorsis.” However, he encourages them to come out and watch the film on its first day, to ensure its long run in the cinemas. “Nababasa namin sa comments sa official trailer ng Echorsis na maraming naghihintay na ipalabas ito. Sana lang maglabasan sila sa April 13 kasama ng kanilang mga friends para manood bago pa maging huli ang lahat,” he stresses. According to Cahilig, “Echorsis” is an intelligent and out-of-the-box brand of comedy. “The Filipino moviegoers are ready for a black comedy like ‘Echorsis.’ The box-office records of well-made films such as ‘That Thing Called Tadhana,’ ‘English Only,’ and ‘Heneral Luna’ gave us the courage to push through with the project despite its unconventional plot,” explains the producer. “I am confident that apart from enjoying the patronage of the LGBT community, ‘Echorsis’ will likewise lure the straight population to the cinemas because of its organic humor and its message of love, forgiveness, and acceptance,” says Cahilig. “Echorsis” takes pride in bringing together a powerful and award-winning production team led by Lorca, who recently won the best picture trophy in CineFilipino for his film “Ned’s Project.” He is joined by cinematographer Sasha Palomares, editor Benjamin Tolentino, production designer Paul Infante, assistant director Lorna Sanchez, line producer Sarah Pagkalinawan-Brakensiek, and production manager Rowena Concepcion. International composer and arranger Jonathan Ong and his Sonic State Studio team did the music and scoring. “Echorsis” has been the talk of the town even weeks prior to its April 13 opening in cinemas nationwide. Its official trailer has so far gone viral and received over four million views. Completing the ensemble cast of “Echorsis” are Alessandra de Rossi, Chokoleit, Kiray Celis, Mich Liggayu, Ruby Ruiz, Negi Negra, Bekimon, Nico Antonio, Francine Garcia, Odette Khan, and 1:43’s Yuki Sakamoto, Anjo Resurreccion, Gold Aquino, and Yheen Valero. “Echorsis” is supported by BellaVita Land Corp. and McJim Classic Leather.